Many of you may not have known this, but I cannot drive. Not at all. I've never driven. Well, that's not entirely true, I drive a golf cart to take my kids to the bus stop and I used to drive one at work when I did maintenance. But I have never once been behind the wheel of a car. It's hard for our family with me unable to drive, that leaves all the errands to be done when my husband can take us. He works a lot (as a CLD driver), so that is unfair to him and inconvenient to me. I miss school functions, scramble to find a ride if the kids get sick at school. If we run out of something, we just wait until the next weekly grocery trip instead of me being able to just go get it. There are many reasons I should already be driving, but now there is just no way I can put it off any longer. This year my son will graduate 5th grade. He will be leaving a great school and an amazing teacher. He will be going to middle school. The problem is that our local middle school is not a good place for him. He has autism and he needs to be in an ESE classroom for the flexibility and smaller class size, but he is also a savant (according to his teacher) and the programs there are well beneath his skill level. He would not be learning there, just attending. I need to get him in a school specifically for autistic students where they have a program for him. The closest one is 20 miles away and, since it is a private school, there is no bus. My husband is at work during that time, so I MUST be able to drive him to school. I will not let his education suffer because I can't do what needs to be done. With that said, I will also need to get a car, since we obviously only have one. I don't need anything extravagant or brand new. I do need something reliable and fuel efficient. I need to be able to trust that I am getting a good price and, most importantly, a good car. I've decided to start with Cars.com. I like being able to go online and browse at my own pace with no pressure from a sales person and no worry about making hubby take me around to dealerships. You can find new cars, used cars, dealers and even for sale by owner. You can research different models, estimate used car value and even estimate your payments. I love that I can do everything but sign the paperwork and get the keys right from my couch (in my pajamas.) Since I don't have my license (or even permit) yet, I have plenty of time to look around and find exactly what I want. I am looking for a good, used, SUV. 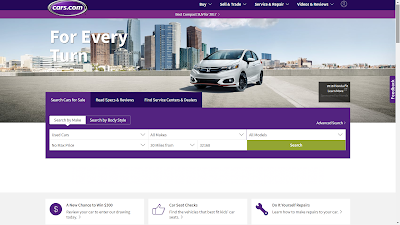 What's really cook is that Cars.com has a Car Seat Check feature. They conduct hands on tests to see how well car seats fit in different makes and models. I still use boosters for both kids. Kids should be in a booster until they are 4'9 tall, so the seat belt will position properly on their lap and chest not their stomach and neck.It's good to check that their seats will install safely. I'm excited about my new journey, now that I am prepared. If any of you have any tips about buying a used car (or new car), I would love to hear them. 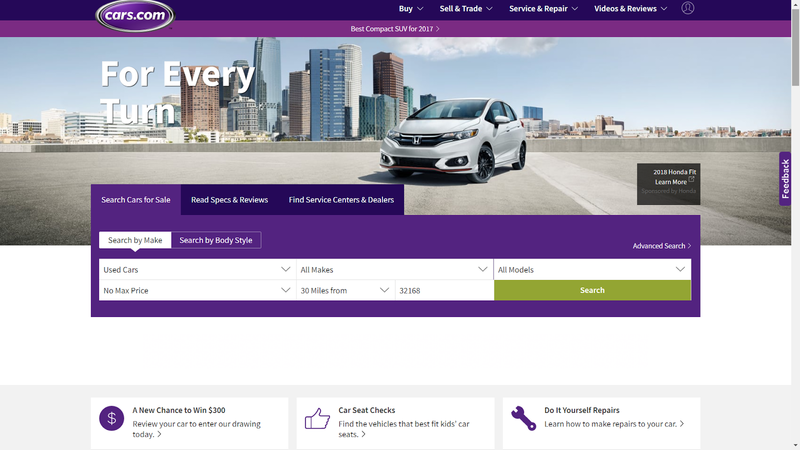 Have any of you bought a used car via Cars.com before? If so how was the experience. Do you plan to in the future? Why or why not? Lets discuss in the comments. I don't know where you live but do keep one thing in mind. In most states regardless of your age, etc. you will be put into assigned risk when you get your first insurance policy. Therefore, call your insurance company first. It's often better to get an older, reliable, non fancy car until you finish assigned risk. It is a great offered by the car key fob company to you that promote these car copy fob nationwide, It is best for car to use it for security. You can buy car key remote and its replacement service on replacemyremote. Get the car rental services in Montreal from Citycarrentals.ca who is the professional car rental service providers at the reasonable price. As, the site offers the number of luxurious car rental services. So, get Lamborghini Rental Montreal and the exotic cars. Thanks for sharing the car rental site. Hire mercedes sprinter van rental who provides the exotic car rental services and other transport services. Many of the car rentals services providers are available who provide the proper car rental services. Get the proper car replacement keys from Replace My Remote which is the online store for the car key remote control service providers. Whether you are looking to replace your stock headlights or want to upgrade your ride's appearance then, visit HID Retrofit Kit for 2011 dodge ram 1500 headlights for your car.